Talk about taking the "customer is always right" motto to the extreme. In October, a man, believed to be 23-year-old Joshua James, pulled up to a Wendy's drive-thru window in Jupiter, Florida. But instead of asking for more napkins or extra ketchup, he did the unthinkable: he threw a living alligator through the drive-thru window, according to WPTV. 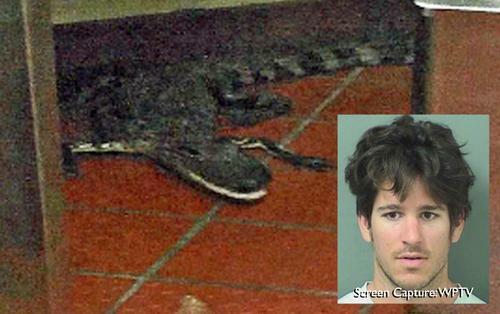 Officials said 23-year-old Joshua James "pulled up for his order and after a server handed over a drink and turned around James reached into the back of his truck and tossed the 3-and-a-half foot gator through the drive-thru window".